“Claims to fight illicit drug trade do not absolve the Government from its international legal obligations and do not shield State actors or others from responsibility for illegal killings,” Agnes Callamard, the new UN Special Rapporteur on summary executions, stressed in a news release from the Office of the UN High Commissioner for Human Rights (OHCHR). More than 850 people have been killed since 10 May when Rodrigo Duterte was elected President of the Philippines vowing to crackdown on crime. Some 650 people were killed in just the last month and a half. “The State has a legally binding obligation to ensure the right to life and security of every person in the country, whether suspected of criminal offences or not,” said Ms. Callamard. During his election campaign and first days in office, Mr. Duterte repeatedly urged law enforcement agencies and the public to kill people suspected of trafficking drugs who don’t surrender, as well as people who use drugs. “Concerning drug-dependency, this should be treated as a public health issue and justice systems that decriminalise drug consumption and possession for personal use as a means to improve health outcomes,” said Dainius Puras, the UN Special Rapporteur on the right to health. However necessary, he added, responses to the illicit drug trade must be carried out in full compliance with national and international obligations and should respect the human rights of each person. “All allegations of killings and extrajudicial executions must be promptly and thoroughly investigated,” said the experts, urging the authorities to take immediate and necessary actions to protect all persons from targeted killings and extrajudicial executions. 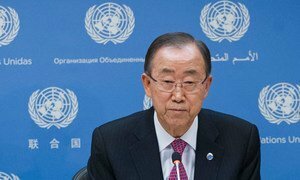 United Nations Secretary-General Ban Ki-moon said today he was extremely disturbed by recent remarks made by the President-elect of the Philippines, Rodrigo Duterte, regarding extrajudicial killings.